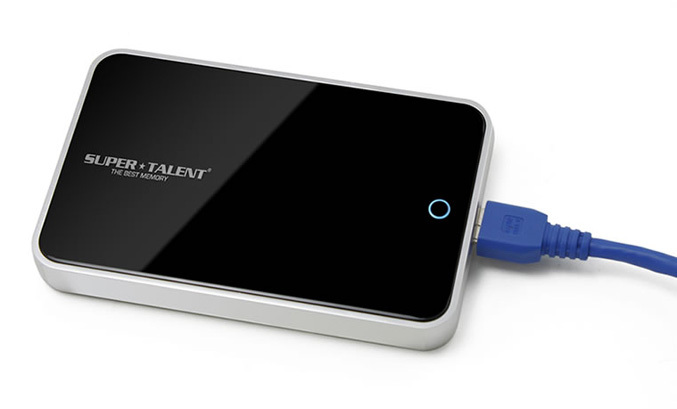 Super Talent comes up with new external storage for your data, this time with the fast USB 3.0 external hard drive – the Storage Pod. Enclosed in a shiny black casing it offers 500GB of storage and reaches speeds of up to 90 MB/s, when is used with USB 3.0-supporting system. The Storage Pod is USB powered, weights only 200 grams, costs $99.99 and will start shipping in early January.